During a recent trip to Nicaragua, plantains (plátano in Spanish) were served as a side dish at many meals. I recall having them in Puerto Rico a few years ago but these were especially sweet. When I returned home, I bought two plantains at the local grocery store and let them turn almost black, the key to having a sweeter plantain. The plantain looks very much like a banana but is larger and harder to peel. 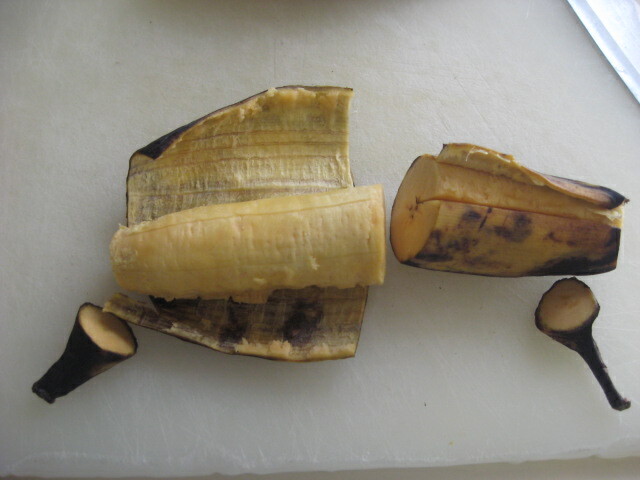 Slice off the ends of the plantains, using a sharp knife. Slit the skin from tip to tip. Peel the skin off in one piece. Heat about 1/2-inch of oil in a skillet over medium heat. 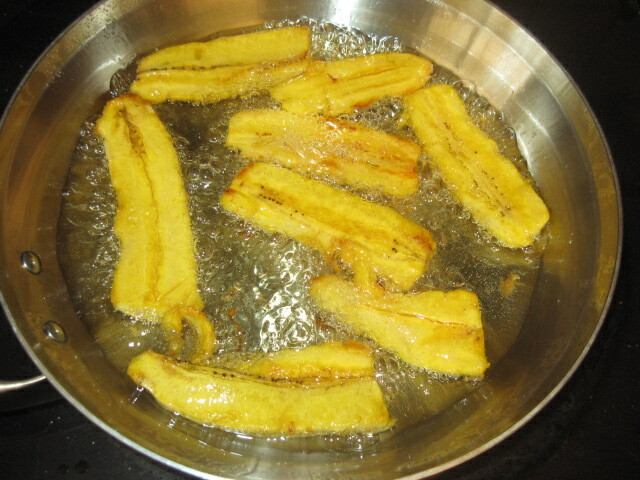 Add the plantains, a few pieces at a time, and sauté until lightly browned. Turn and sauté the second side. 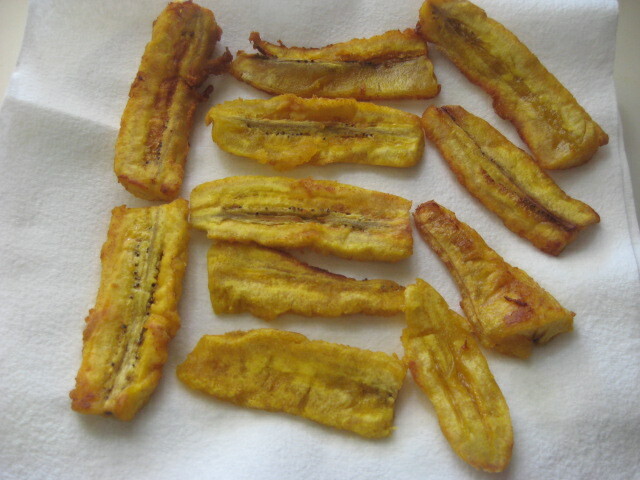 To caramelize the plantains cooked for up to 20 minutes on medium to medium-low heat. Remove to a paper towel-lined plate and repeat with the rest of the plantains. Sprinkle with a little salt. Serve hot.